An easy 5K to test the knees and ankles. Multiple slow moments when some shady characters appeared in the distance and the lady runners were behind me. Still managed to finish a few seconds short of 29 minutes. Non-stop would have dropped it into the 27min range. No REAL suffering. Minor pinch in the RIGHT knee. But that is likely due to compensating for the right ankle. Played it smart: slow and steady. Happy with the results. That's enough, for me. Afterwards, the usual folks at the usual drinking spot, but an unusual meal. Ben, owner of Irish Coast Pub. was kind enough to share a portion of his Mother-In-Law's home-made kimchi. Her being a native Korean who buries her creations in mason jars in the ground for up to a year, it was infreakingcredible stuff. Almost TOO hot. Pushed my personal limits on spice. Nearly crossed into "Oh my God, this hurts!" territory. But beer soothed the pain and it was one of the most challenging meals Your Humble Narrator has had in many moons. 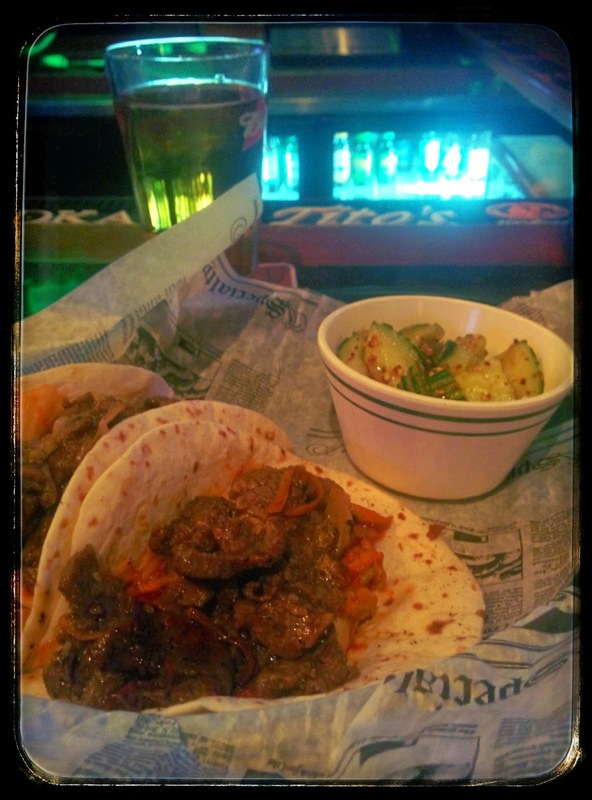 Only in South Mississippi can you run 5K with your friends, then enjoy Korean BBQ tacos in an Irish Pub!